december 2013 | 575 blz. 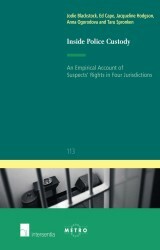 This empirical study focuses on three procedural rights – the right to interpretation and translation, the right to information and the letter of rights, and the right to legal assistance before and during police interrogation – in four EU jurisdictions – France, Scotland, the Netherlands and England and Wales. december 2013 | 59 blz. 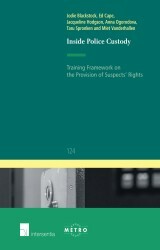 This Training Framework is based on the empirical study of the procedural rights of suspects in England and Wales, France, the Netherlands and Scotland. Its objective is to enhance the knowledge, understanding and skills of criminal justice practitioners – police officers and defence lawyers – in respect of the procedural rights of suspects in police detention. mei 2007 | 280 blz. 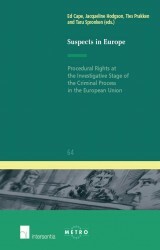 This book provides an insight into the investigative stage of the criminal process and, in particular, the legal protection of persons suspected of crime, in a number of EU countries: Belgium, England and Wales, Germany, Greece, Italy, the Netherlands and Poland.